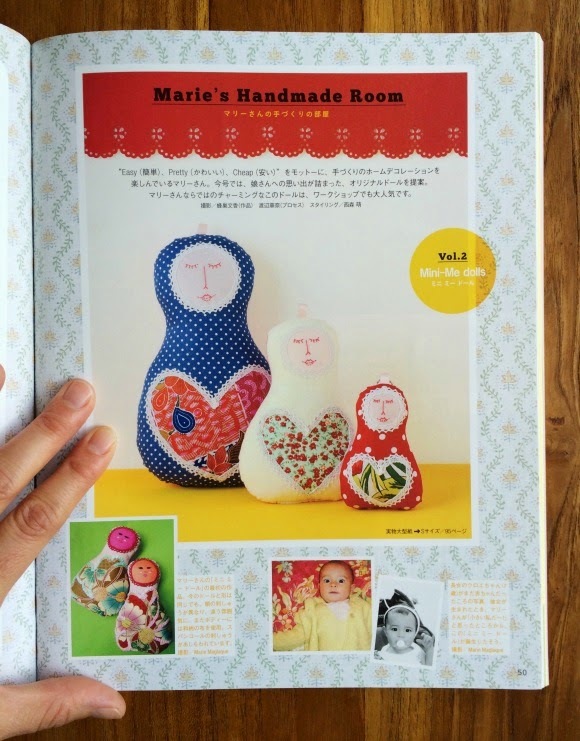 Let's face it, I am a little bit late at sharing this feature of a DIY ( it stands for "do-it-yourself") of my Mini Me dolls in the 3rd and last issue of tukutte magazine (p.50). 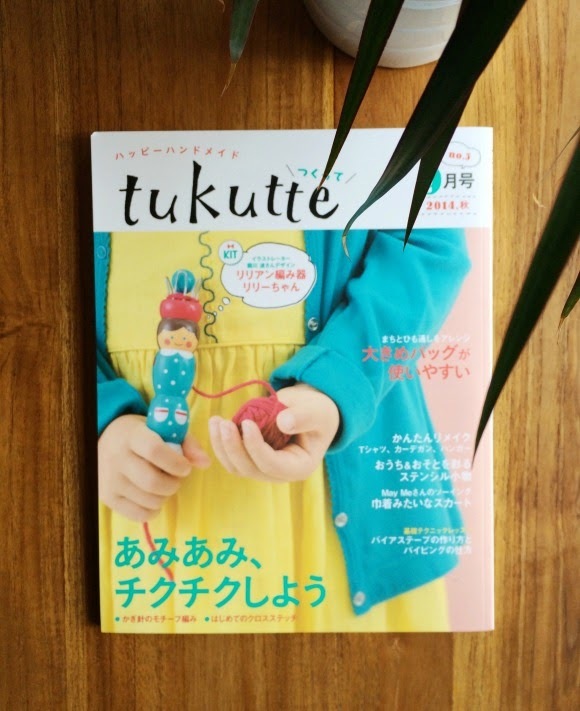 tukutte first launched in April last year, and I was extremely pleased to be part of every issue - you can check each and every project here and here. 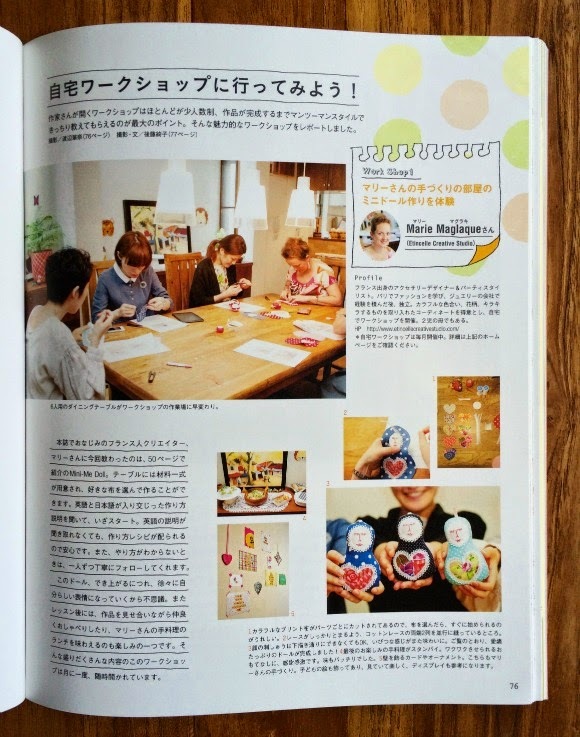 I was also able to exhibit my party styling at the last Hobby Show in Tokyo with other contributors to the craft magazine - read about it here. I am quite sadden by the news that the magazine will no longer get published, but I am proud of the work accomplished this year and the experience gained along the way! 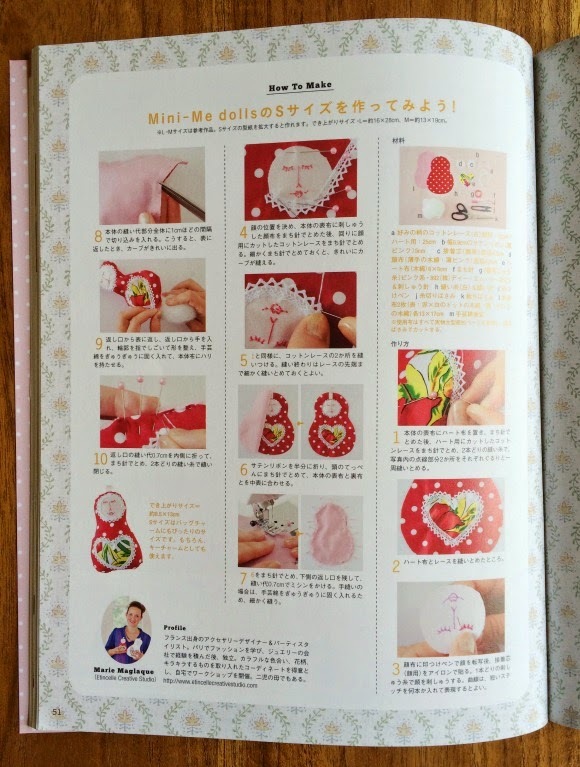 Here below are some photos of the two-page feature, I hope you'll like it... Feel free to leave your comment after the post. - also called "tricotin" in French. 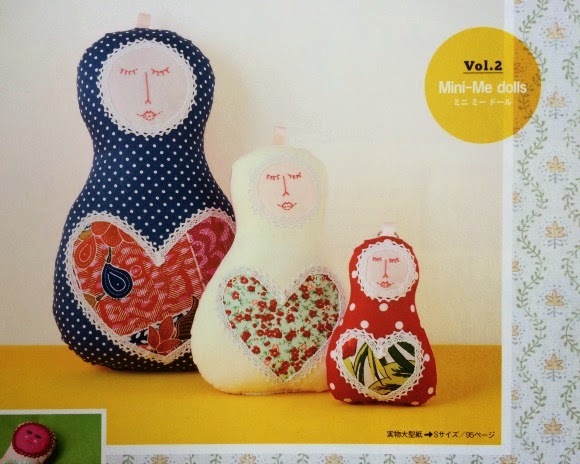 I first started creating my Mini Me dolls shortly after my daughter was born (in 2007), using the fabric scraps left from the dresses I was making for her... Of course their design has slightly changed over the years, but the inspiration is the same: Russian dolls, colourful fabrics, flower prints and polka dots make for pretty little dolls! 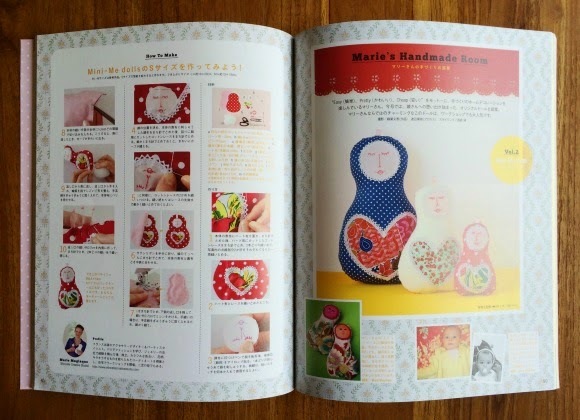 We shot the step-by-step instruction (photo above) in the publisher's in-house studio, it was such a great experience for me. I had planned every step ahead of the shooting day, preparing as many pieces as necessary to illustrate every step. Everything ran very smoothly and fast thanks also to the wonderful photographer. One lesson learnt here: getting my nails done before shooting day! 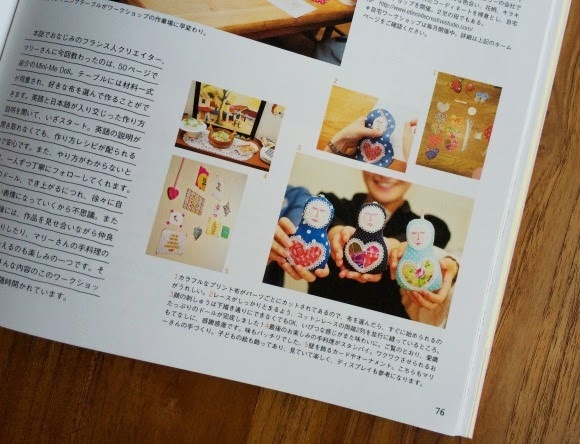 Then here is one more feature p.76 on a private workshop I held for the tukutte team last June. 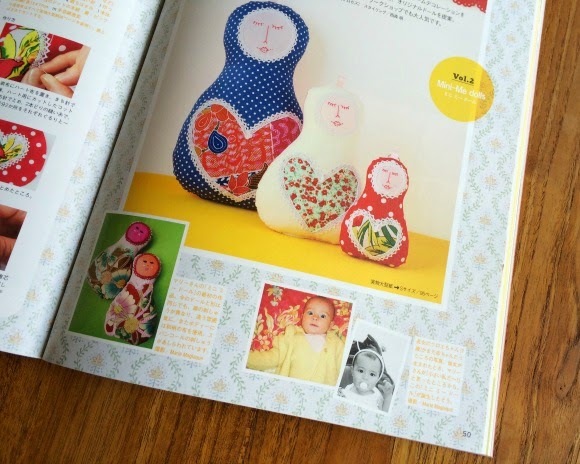 Of course we tested out my DIY and everyone created their own Mini Me doll! It was a fun morning, everyone had a wonderful creative spirit and we all enjoyed it! Wonderful Asiatic experience and exposure! 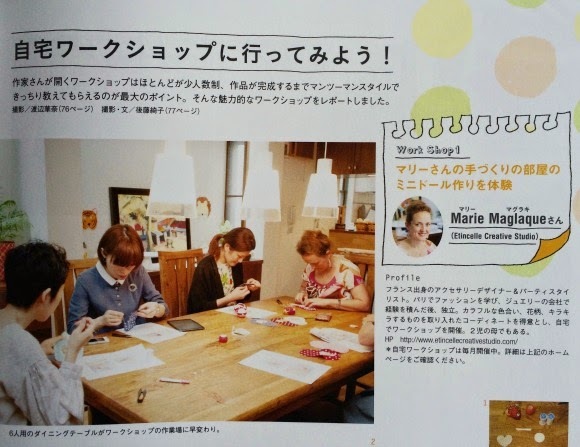 I hope u come by sg again and maybe hold some workshops here! Anyway, I'm entering your giveaway and my fave 2 colours are mint and cream. Hee! Thank u! Wow, what a great work you have done! Great accomplishment!! 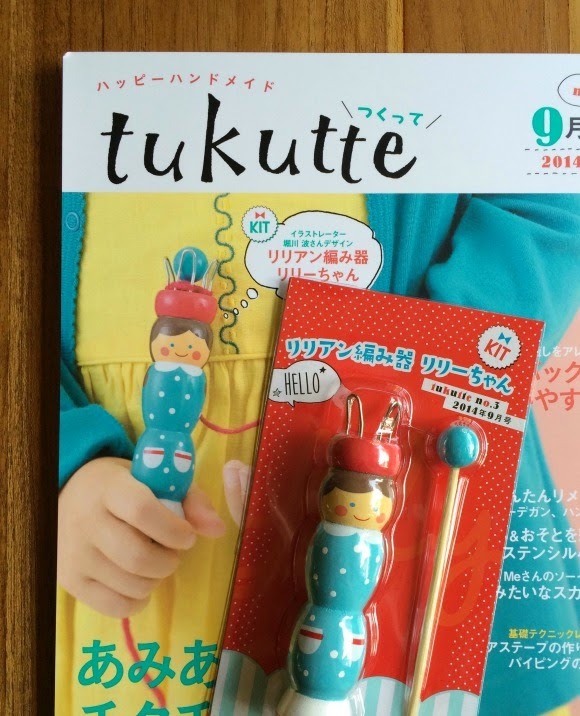 I'm sorry to hear that tukustte won't be published in the future. However, you have done so much for the magazine!! 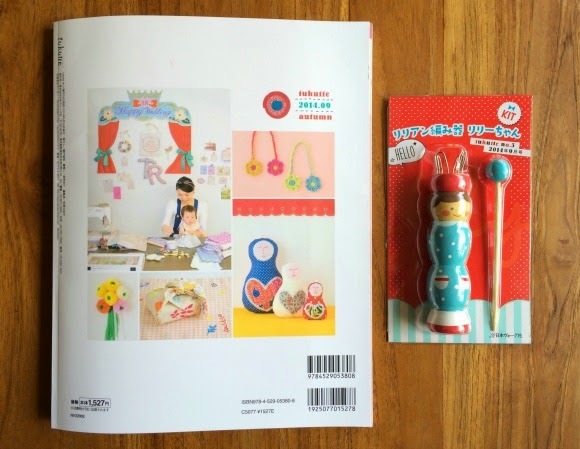 I love seeing your work and the photos of your workshop! My fav colours are orange and green! Thanks for this giveaway! I love bold pink and cobalt blue. @Charlotte: thanks for participating Charlotte! @Joanna: thank you for participating! wow, orange and green! great choice! I love mint green and pink! Hmm, two colours separately or together? If together then pink and grey. Separately; lime green and purple. And congrats on 10 years in Asia! 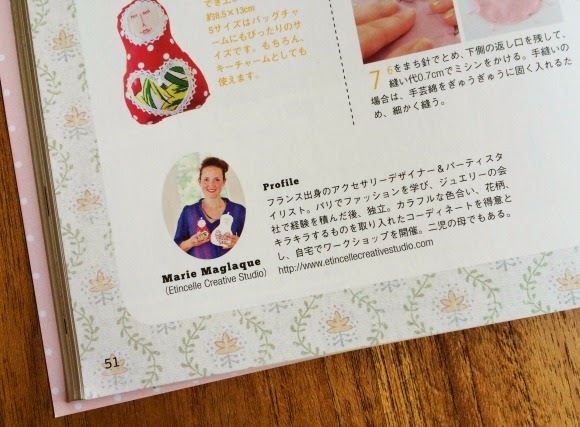 Bravo Marie pour cet article sur tes poupées! Quelle joie de donner des workshops aussi, qu'en penses-tu? Mes couleurs préférées sont Navy et Gold! Congrats Marie on your milestones! What a long way you've come and I'm so glad to watch you doing the things you love.